A Union County jury has returned guilty verdicts against a man responsible for a daytime carjacking in Westfield a little more than three years ago, acting Union County Prosecutor Grace H. Park announced Thursday. Lamar Randleman, 28, of Newark was convicted on charges of first-degree carjacking and third-degree theft following a two-and-a-half-week trial before state Superior Court Judge Robert Kirsch and several hours of jury deliberations. At approximately 1 p.m. on Monday, March 31, 2014, the victim, a then-62-year-old female, arrived at her home on Minisink Way in Westfield and was approached in her driveway by an unknown male, according to Union County Assistant Prosecutor Jessica Guarducci, who prosecuted the case. Following a brief struggle during which the woman was shoved to the ground, the man, later identified as Randleman, took the keys to the victim’s Lexus SUV and drove away, Guarducci said. Hearing the victim’s screams, a neighbor looked outside, saw what was going on, and entered his own vehicle, pursuing Randleman for a short distance and calling 911 to alert police, according to a joint investigation by the Union County Prosecutor’s Office, the Westfield Police Department, and the Mountainside Police Department. 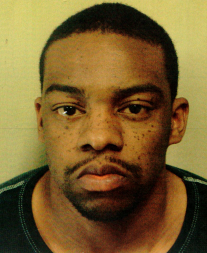 Randleman drove a short distance east and parked the Lexus in a lot off of an exit ramp for Route 22 in Mountainside. Immediately thereafter, a Mountainside police officer responding to the area spotted the defendant and started pursuing him on foot until Randleman arrived at a nearby gas station and quickly entered a second vehicle being driven by 27-year-old Cavaan Hinson, also of Newark. Following a brief police pursuit, the getaway vehicle crashed at the corner of Orchard and New Providence roads in Mountainside, after which the two defendants were taken into custody without further incident. The carjacking victim was not seriously injured, nor was either of the two defendants. The Mountainside officer who had been pursuing Randleman was taken to a local hospital for treatment of a leg injury. The case against Hinson remains pending trial. Sentencing for Randleman has been scheduled for Friday, June 23, 2017 before Judge Kirsch.